If safety is your number one goal, but you don’t want to spend thousands to install a security system, you need to consider installing deadbolt locks on your property. We are Georgetown Locksmith Pros and specialize in quick installation and repair services for deadbolts. And, we are your most trusted local company when it comes to all types of lock services for your home or business. Why Are Deadbolt Locks Better? A deadbolt is a cost-effective way to give your property an extra layer of safety, and it’s often used in conjunction with a standard handle lock. It’s harder to pick thanks to the metal cylinder design, it won’t give out with force due to the reinforced steel, and it’s nearly impossible to open the door with that durable steel bar in place. The solid click of the deadbolt at night or when you leave gives you peace of mind and ensures that your home or office is safe and secure. If you are out with your family at San Gabriel Park, you can rest easy knowing that your home is secure with expertly installed deadbolts. We’re a 24-hour company, so scheduling is no problem. Want the job done immediately? 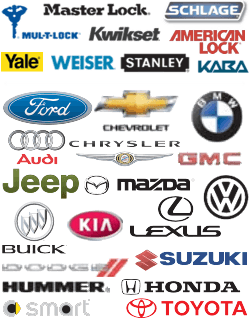 Our mobile technicians will be on the way as soon as you call. And we will arrive in less than half an hour. Planning something for next week or next month? Chat with our friendly staff and schedule the appointment whenever works the best for you. We’re incredibly flexible, we know you’re busy, and we’re the best, since we plan around our customers, not the other way around. Though we do far more than post-break-in work, our clients really appreciate the fast response from a mobile locksmith after a break-in has occurred. You need a residential locksmith who can get things back in order and make you feel safe at home, or a commercial locksmith who can protect your business from repeated incidents. We can do both, and we’re happy to work with you right away. We’ve earned our reputation as the premier emergency locksmith. We have years of experience working in this industry, and we have thousands of satisfied customers. Some came to us looking for an immediate assistance when they had nowhere else to turn, others scheduled installation jobs before buying or selling a home, and still others called us because we’re a 24-hour business and they needed the job done on a very specific schedule. One thing is for certain, in all of those jobs, they came away with admiration for our unbeatable locksmith services in Georgetown Texas, and we know you will too. Contact us today! 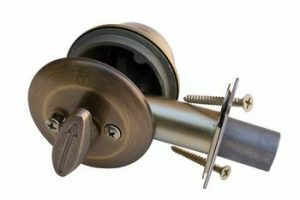 Deadbolt Locks https://georgetown-locksmith.co/lock-services/deadbolt-locks/ 3.9/5 based upon 7 reviews.